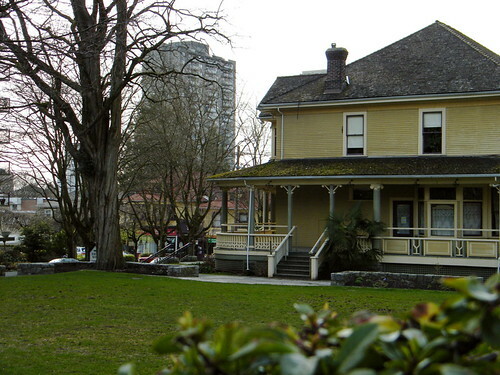 Barclay Heritage Square is probably my favourite urban oasis in Vancouver’s West End and this year its centrepiece, Barclay Manor, is also a haunted house. The haunted house tour runs Friday October 29th from 7:00pm to 9:00pm and Saturday October 30th from 6:00pm to 8:00pm. Admission is $3 per person or $10 for a family of four. The sign out front says the tour is suitable for those 6 years old and up. Call (604) 257-8333 for more information or to purchase tickets. Throughout the year Barclay Manor is a social and recreation centre for those 50 years or older, and is a division of the West End Community Centre. The Barclay Heritage Square features flower gardens, a dog park, as well as two other heritage houses including Roedde House Museum. 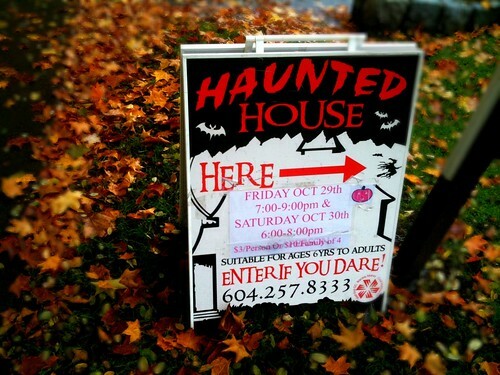 Read about more Haunted Houses in Metro Vancouver: Barclay Manor, Scare Affair, To Hell and Back, Dungeon of Doom.